Following the groundbreaking of Baha Mar last month, now the real work begins on the multi-billion dollar Cable Beach development. The Bahamian project developers are looking to their foreign partners to deliver on time, to budget and to the required standards. 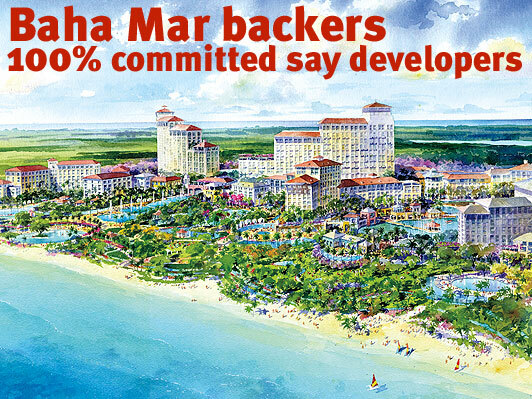 It is a complex overseas project for China State Construction Engineering Company Ltd and the Export-Import Bank of China, but all parties say they are committed to developing the $3.4-billion Baha Mar resort in The Bahamas on time and within budget. Hailed as the largest single-phase resort development in the history of the region, Baha Mar officials say the 1,000-acre resort, gaming and entertainment complex will set a new standard of luxury for the hospitality industry. The resort is slated to open in the latter part of 2014. At an elaborate groundbreaking ceremony last month, China State Construction vice president Liu Jinzhang predicted an early completion. He said he expected the construction work to be done in “best quality and high speed,” according to his translator. Li Ruogo, chairman and president at the Export-Import Bank of China, expressed similar sentiments. Through “close collaboration” between Baha Mar and China Construction, he said he was hoping that the project would be completed ahead of schedule. The bank is financing the bulk of the development to the tune of $2.5 billion. Upon completion, Baha Mar will have approximately 3,800 hotel rooms, including 300 residential condos and villas available for private ownership. Baha Mar chairman and chief executive officer Sarkis Izmirlian is looking to the project brand partners–Rosewood Hotels and Resorts, Morgan’s Hotel Group and Hyatt Hotels and Resorts–to help fill those rooms. The resort CEO feels that parts of the US, Europe and Asia are ripe for exploration. “We have been talking to our partners about maybe having direct flights from China to The Bahamas,” he says. Among Baha Mar’s other amenities are a 200,000 sq ft convention center, a 50,000 sq ft retail village, chef-branded restaurants, a 20-acre water park and pool experience and three unique spas. Baha Mar is still in the process of selecting the ideal casino brand partner. “We want to find someone who believes in the destination, someone who believes in our concept of Baha Mar and having the brands work together, someone who can bring a lot of people to The Bahamas and who can complement our other brand partners,”?says Izmirlian. The Nassau Airport Development Company is set to host the fifth Routes Americas industry conference. 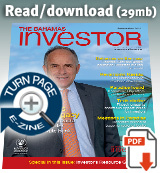 Held at Atlantis, Paradise Island, next February, the event will attract around 200 international delegates from leading airline and airport companies. Two-day trade and investment mission to Canada to visit Toronto and Calgary at the end of March. Prime Minister expected to speak at key luncheon events at two venues.